After a root canal, it’s common to experience pain for about three to five days following the procedure. However, if the pain persists for longer than that, it could be a sign that there was a complication during the procedure, or that something else is going on that’s causing the pain. 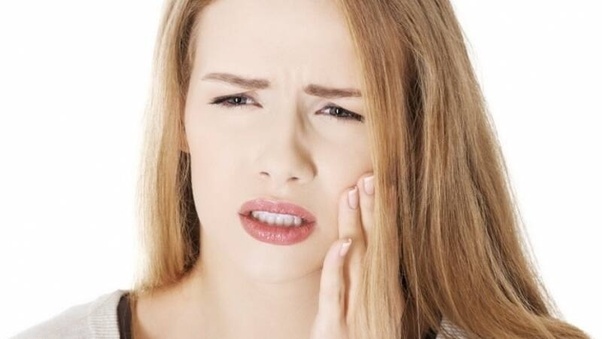 There are many reasons why you may experience tooth pain after root canal, and today we’ll talk about what they are and what you can do about them. Related Article: Are You Suffering from Root Canal Symptoms? When a root canal is performed, the dentist will remove infected pulp from inside the tooth and scrape the canal to ensure there is no leftover bacteria or damaged pulp. Once the canal is clean, the dentist will insert a filling to seal the tooth. When too much filling is used, it can make your tooth sit tall in your mouth and cause pain when you bite. What to do: For a tall tooth, go back to the dentist to have some of the excess filling removed so your tooth can sit normally in your mouth again. Root canals are designed to remedy tooth pain caused by infected pulp, where bacteria in the mouth cause the infections. If any bacteria get left behind or accidentally pushed into the root, bone, or surrounding tissue, then this can create lasting pain while the infection persists. What to do: In most cases, your body will be able to fight the infection on its own, especially after the dead nerves and pulp is removed (because the bacteria have nowhere to hide). However, it’s best to talk to your dentist, because antibiotics may be required to help the healing process, and in rare cases, if the tooth has cracked, a full extraction may be required. Even experienced dentists can sometimes cause damage or swelling to the surrounding tissues during a root canal, and when this happens, it can cause pain after root canal that lasts longer than the typical five days. Similarly, the initial infection may have caused inflammation around the infection site, leading to additional pain. What to do: Pain from damage and swelling will generally resolve on its own when the damage heals and the swelling goes down. When a root canal is performed, sometimes the tooth has multiple canals, and if the dentist misses a canal or doesn’t remove all the damaged nerves, then the original pain will persist even after the procedure is completed. What to do: Book a follow-up with your dentist or a new dentist as soon as possible because a more comprehensive root canal will have to be performed to remove all the pulp or the remaining nerve. Generally speaking, root canals are a very effective treatment for tooth pain that’s caused by infected or damaged pulp inside the tooth. When the procedure is successful, the pain will disappear within three to five days. However, if the pain continues longer than that, it’s good to know the potential causes so you can decide when you should contact Dr. Caye for a follow-up to stop pain after root canal. Dr. Stephan Caye and his friendly, experienced team at Premier Dental offer affordable family dentistry and oral health education to their patients in the Lee’s Summit, MO area. Our office is conveniently located off of Highway 50 and SE Blue Parkway. We offer appointment times Monday through Friday to meet your needs. At Premier Dental, we provide most dental health services, from family and general dentistry to specialty procedures, including tooth replacement options, including CEREC crowns, dental implants and dentures, endodontic or root canal treatment, teeth whitening, cosmetic dentistry, emergency dental care and much more. We accept most dental insurance plans and offer affordable financial solutions for any budget. Please call us at (816) 600-6330 to schedule an appointment.